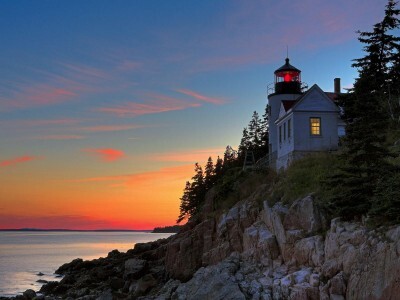 If Maine is known by the moniker “Vacationland,” then Acadia National Park is one big reason why. More than 2.5 million people visited the 47,000-acre park in 2010 — the most notable among them being the First Family, whose day-one itinerary illustrated much of what Acadia has to offer. From bike paths and harbor cruises to scenic drives and hiking trails, half the fun of Acadia involves exploring the rugged coastline and diverse woodlands of Mount Desert Island, where the park is located. If you’re looking for fun, family-friendly activities, this park should be at the top of your list. Best of all, you don’t have to abandon any modern comforts to take advantage of Acadia’s charms. The town of Bar Harbor and its surrounding communities are renowned for its shops, restaurants and homey bed-and-breakfast inns. Tour the park’s historic carriage roads, grab some freshly caught lunch at a local lobster pound, then drive up Cadillac Mountain to experience an ethereal sunset with a view that you’ll never forget. Click to see a detailed Acadia National Park Map.